We have got a very good review in this weeks Dag og Tid, written by Lars Mossefinn. 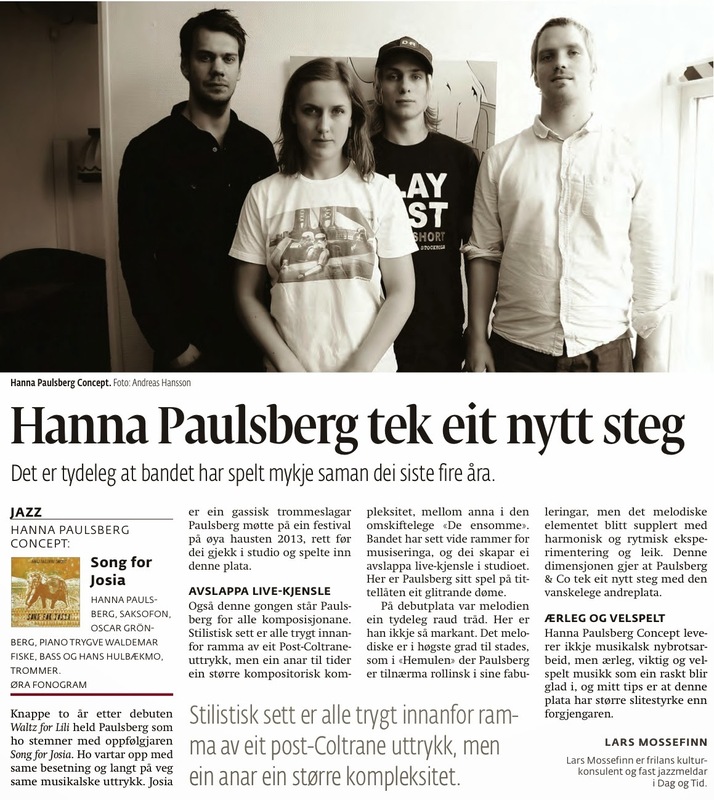 Hanna Paulsberg takes a new step. It is obvious that the band has played a lot together in the last four years. Barely two years after the debut Waltz for Lilli, Paulsberg continues with Song for Josia. Josiahis a Malagasy drummer Paulsberg met at a festival on the island in the autumn of 2013 , just before she went into the studio and recorded this album. Also this time Paulsberg has composed all the songs. Stylistically are all safely within the framework of a post- Coltrane - expression, but we can at times sense a more compositional com-complexity for example on the song " The Lonely Ones". The band has set a broad framework for the interplay, and they create a relaxed live feeling in the studio. Here is Paulsberg 's playing on the title track a brilliant example.On HPC's debut album, the melody was a clear red line. This time around it is not as central. The melodic is present in the highest degree, like in " Hemulen " where Paulsberg is almost "Rollins like" in her fabulations, but the melodic element has been supplemented with harmonic and rhythmic experimenting and play. This dimension means that Paulsberg & Co. takes a new step with the difficult second album.Honest and well played. 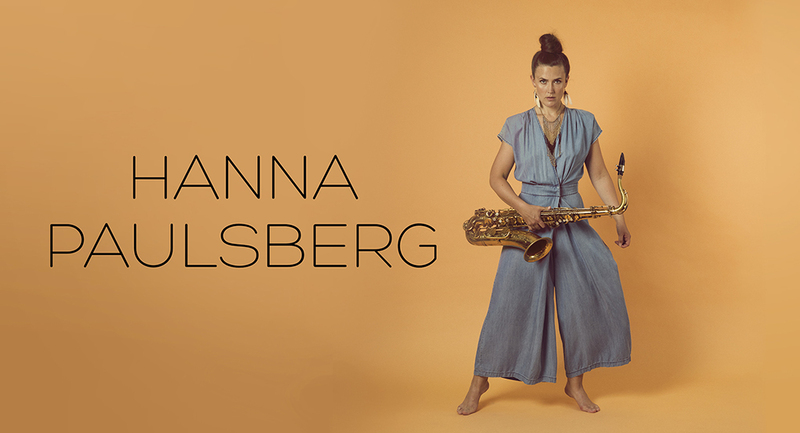 Hanna Paulsberg Concept dont neccesary create groundbreaking, but honest, important and well - played music that one quickly falls in love with, and my tip is that this album has greater durability than its predecessor .